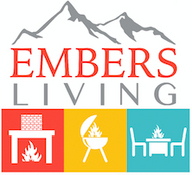 Embers Fireplaces & Outdoor Living are authorized retailers of everything that we sell, therefore we honor all products from defects or warranty issues. Warranty terms and lengths vary by manufacture. If you are having a warranty problem, please fill out below and someone will get back to you promptly to resolve your issue.